There are many visualization and interactive transformation tools which are great for analytic discovery and big data experimentation. They just can’t be used to build production workflows. 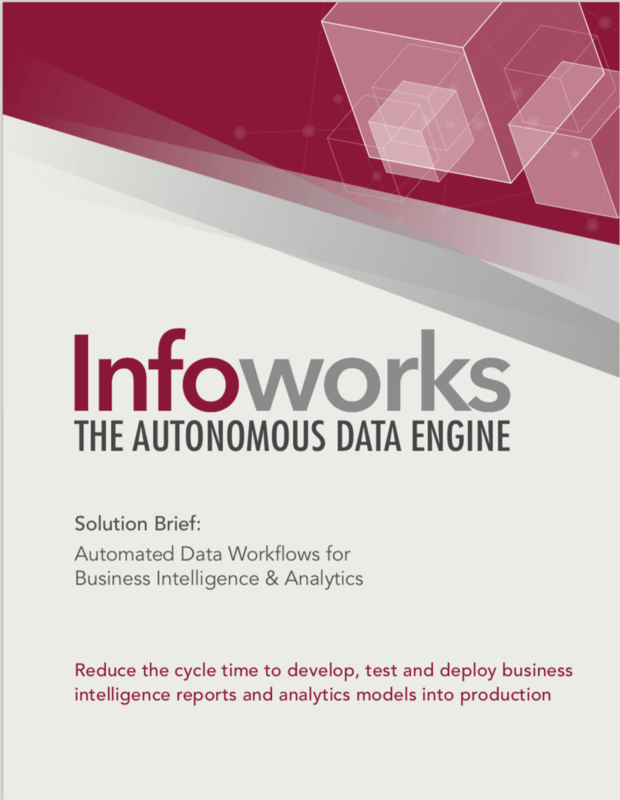 Infoworks addresses the challenge of building production big data workflows with an end-to-end solution that enables self-service from source to consumption. Our Autonomous Data Engine automates most of the work for you which is why our Fortune 500 customers are in production in a matter of days. Learn more about applying Infoworks for your BI and Analytics Workflows.